The November 8 MFSA meeting will focus on the Justice for Our Neighbor (JFON) ministry. The speaker will be Rev. Liliana Padilla, pastor at the Emanuel UMC in San Antonio where the new JFON clinic opened on October 20. Rev. Padilla was an ordained UMC minister in Mexico before immigrating to Texas. As a former JFON client, she is familiar with the difficult journey through immigration policy and laws. Prior to opening the JFON clinic in San Antonio, she was involved in the JFON clinic in Dallas. Her husband, Miguel, is the leader of the JFON site team at Emanuel UMC. To expand our capacity to be in ministry with our community, the Austin District seeks a host site for a permanent JFON Immigration law clinic within the Austin District limits. The JFON Clinic will provide free immigration legal aid to qualified individuals to assist them to attain full resident status with the USA. JFON will also provide education to the public and advocacy services on behalf of people with immigration problems. Please join us on Thursday, November 8, at Saint John’s UMC, 2140 Allandale Rd., for this interesting program. Snacks and visiting begin at 6:30pm; the program begins at 7:00. This past week the Judicial Council of The United Methodist Church met in Elk Grove, IL, and declared the decisions of General Conference surrounding guaranteed appointments and clergy appointments to “transitional leave” as unconstitutional, “null, void and of no effect.” The Methodist Federation for Social Action (MFSA) celebrates these actions as crucial to a deeper understanding of clergy covenant and effectiveness. At The United Methodist Church’s General Conference this past spring, MFSA had hoped the Church might engage in conversation about ways to strengthen the clergy covenant and empower Bishops to better utilize their Boards of Ordained Ministry in cases of clergy effectiveness, rather than developing an adversarial approach leading to a culture of fear and distrust. The Judicial Council ruling opens a door to broader discussion about faithful calling, training, and support of clergy in a two-way covenant system. You can read the full text of the Judicial Council’s decision here. Please consider helping our neighbors through UMCOR and the American Red Cross. Vote – Tuesday, November 6 ! Early voting continues through Friday, November 2. Remember that on Election Day, Tuesday, November 6, Travis County residents can vote at any polling place. The ballot is long with many city and county items, in addition to Federal, State, and School Board candidate choices. 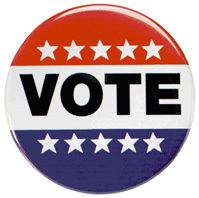 Review the League of Women Voters Guide before going to the polls. Location: First UMC’s Family Life Center, 1300 Lavaca St. Need Childcare? Contact Amy at info@tumc.org. The event is part of Texas Abolition Weekend, the 12th Annual Convention of the Campaign to End the Death Penalty, which will include a march on Saturday at 2 pm starting at the south steps of the Texas Capitol. There is more information online, or contact cedp@nodeathpenalty.org. Carlos Spector, a leading immigration attorney specializing in Mexican political asylum cases, will discuss the causes of violence in Mexico as well as the U.S. government’s rationale for denying Mexican asylum claims. Spector will be joined by 32-year old Juan Fraire Escobedo, son of Marisela Escobedo, a human-rights activist who was murdered in Mexico while advocating for judicial reform. Escobedo, who has applied for political asylum in the United States, will discuss his family’s continuing fight for justice and what can be done to end the political repression and violence in his country. For more information, contact Alejandra Spector, mexenex@gmail.com.